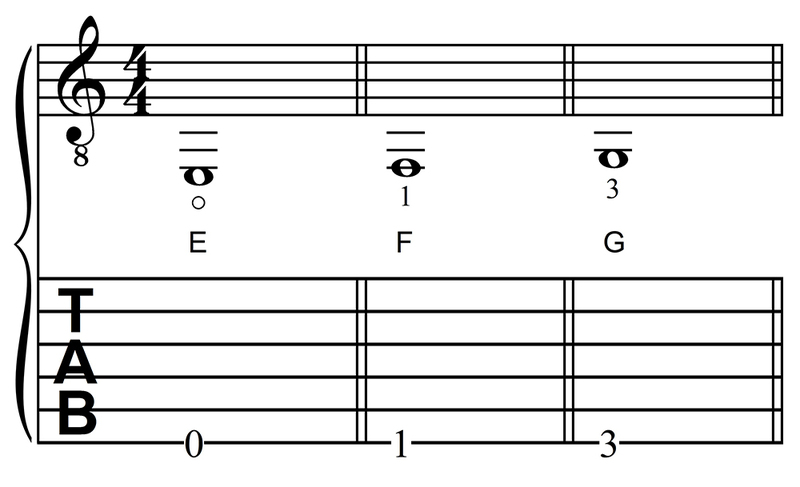 JLA Music - Learning Guitar Notes: E, F, and G on the Sixth String, First Position: "Alice Is Sad"
The first three notes on the sixth string of the guitar are E, F, and G. They are located as shown in the following example. Notice that F is fingered with the first finger, while G is fretted with the third finger. The following piece of music, Alice is Sad, will give you some practice playing the notes E, F, and G. The first measure is a multi-measure rest worth three measures. Before you start playing, count to three three times. 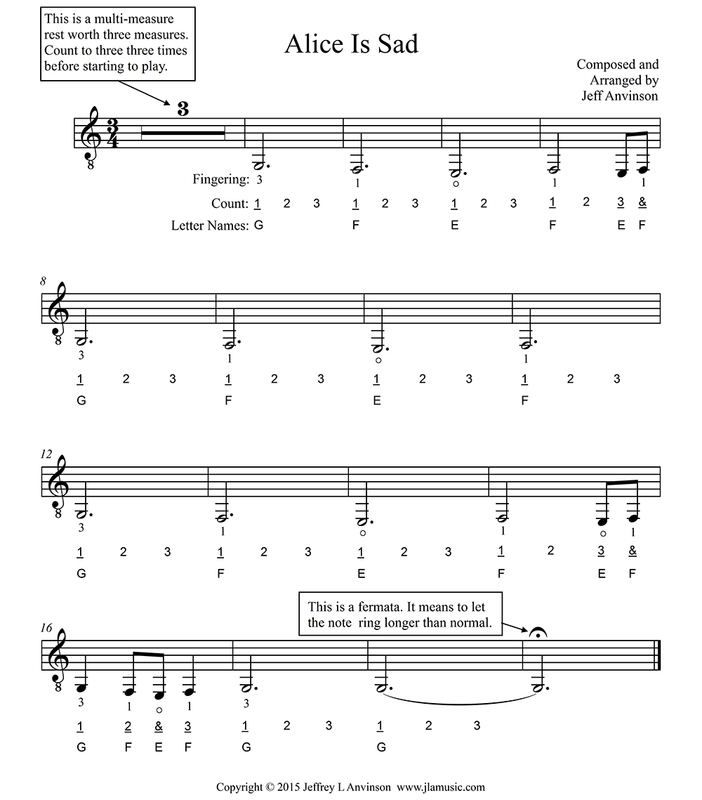 The very last measure contains a fermata symbol, which means to let the notes ring longer than normal. As a rough guide, they are held roughly twice as long as normal, but the fermata is meant to give you the freedom to hold the note as long as you think sounds the best. There is an audio accompaniment track below the music. The accompaniment is on the left channel, while the guitar part is on the right. If you are listening in stereo, you can set the balance to the right side to hear only the guitar part, to the left to hear just the accompaniment, and in the middle to hear both. I hope you have as much fun playing this piece as I did composing, arranging and recording it!